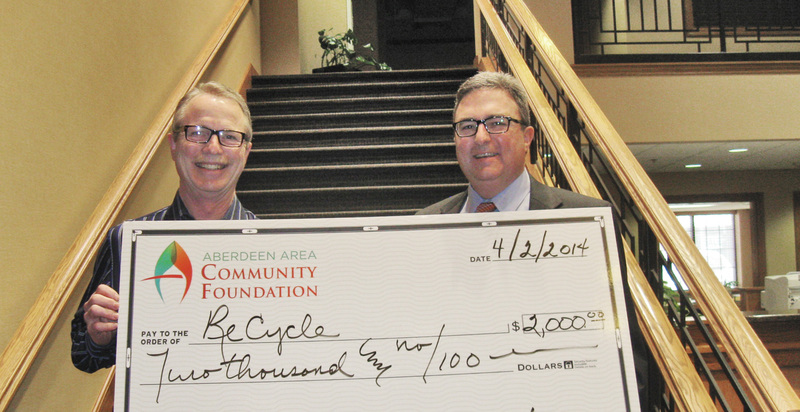 With its inception in 2008, Mark Marion and Jim Mortenson began ReCycle, a program that provides refurbished bicycles to adults, college students and low-income families in the Aberdeen community. As the program has grown over the years, so have its expenses. Wanting to keep the bike refurbishing non-profit alive, organizations such as the Aberdeen Sertoma Club, Kiwanis Club, Exchange Club, Great Lakes Education, Northwestern Energy and the Aberdeen Charity Noon Lunch Group have donated to keep ReCycle going. After receiving a request from ReCycle, AACF wanted to continue the community support and donated $2,000 to help pay for rent and other expenses ReCycle has. ReCycle has been able to give over 750 bicycles back to the community, and AACF is happy we can help keep the program rolling.